Viatek Technology, Tribetech, Calvert Technologies and Silverfern IT have been recognised for their standout performance by security vendor WatchGuard Technologies. 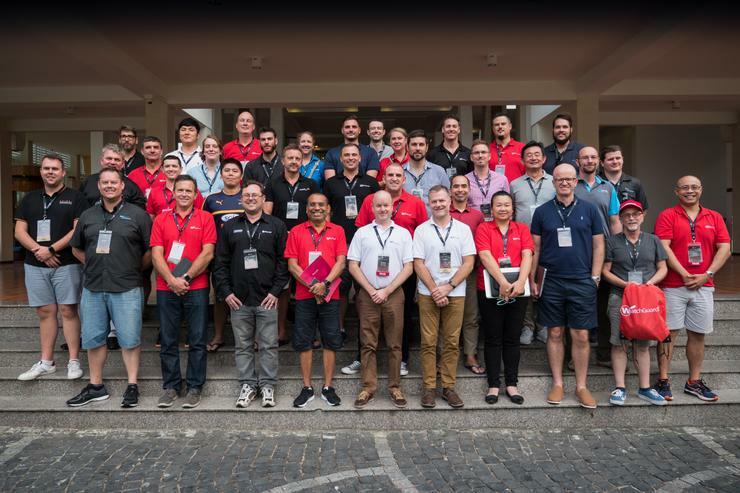 The winners were recognised during WatchGuard’s Asia Pacific Apogee partner conference held in Da Nang, Vietnam, which attracted more than 60 channel partners across the three-day event. “We recognise the role our partners and resellers have played in achieving market momentum and these awards celebrate all our partners’ commitment and dedication to driving mutual success,” WatchGuard Technologies vice president Asia Pacific and Japan Sylvain Lejeune said. Viatek Technology secured WatchGuard Partner of the Year award, while TribeTech took home New Partner of the Year. Calvert Technologies was recognised as Marketing Program of the Year and Silverfern IT took home Project of the Year. Viatek COO, William Gibb, said it was great recognition for the entire Viatek team spanning sales, technical consulting, delivery and operations. Tribetech director Scott Atkinson said being part of the WatchGuardOne program allowed them to accelerate its security practice across multiple areas. “We have a strong focus on security for all the solutions we deliver,” Atkinson said. As previously reported by ARN, Tribetech was established in early 2018 and is co-founded by former BigAir CTO Scott Atkinson, Jason K, who was also with BigAir, and Jim Cantor, who was a director at Australian software company Interaage. Based in Sydney, Tribetech offers cyber security services from managed firewalls to dark web monitoring, managed services that cover from server, computer, device and network management and 24/7 help desk and support. In December, WatchGuard extended its distribution network to include Adelaide-based Leader Computers and Dicker Data in New Zealand. The two new appointments were a stepping stone to help WatchGuard expand its regional reseller footprint and continue its business growth in the region.